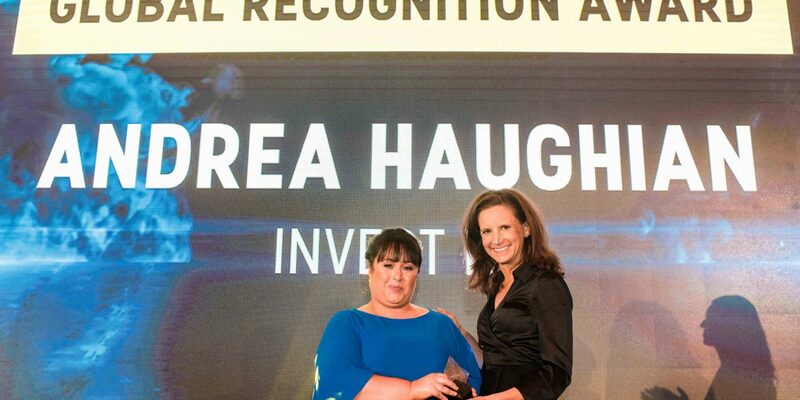 Andrea Haughian, a senior executive at Invest Northern Ireland who has helped win considerable investment from the US to Northern Ireland, has been acknowledged for her work with the Global Recognition Award at the Digital DNA Awards. The Digital DNA Awards recognise the achievements of the individuals, projects and companies in the Northern Ireland business, technology and IT sectors. One of the most high profile awards on the night, the Global Recognition Award recognises an individual who has had a big impact on Northern Ireland’s digital and technology sector on a global scale. 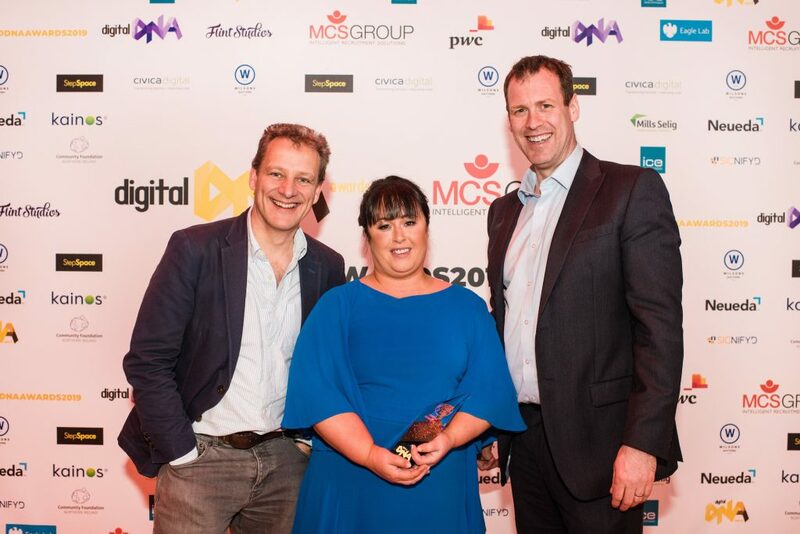 The recipient of the award is influenced by Digital DNA’s global network which feeds back on the impact key individuals from Northern Ireland are having across the world. Ms Haughian is the second individual to receive the award, with First Derivatives plc. founder and chief executive Brian Conlon the inaugural recipient of the award in 2018. Based in New York in her role as Vice President of Business Development for Invest Northern Ireland, Ms Haughian is known for helping senior business people accelerate organisational growth and maximise their profitability, as well as showcasing the talents of Northern Ireland’s home-grown companies and innovators. Ms Haughian said she was “deeply honoured and very humbled” to be recognised by Digital DNA and its community. “My work and role is very much a part of a wider team effort at Invest Northern Ireland, but I am delighted to have played a part in our FDI success story, as well as helping Northern Ireland based companies as they grow their international success,” she said. “It is wonderful to recognise Andrea for her work on the global stage and this award is richly deserved.